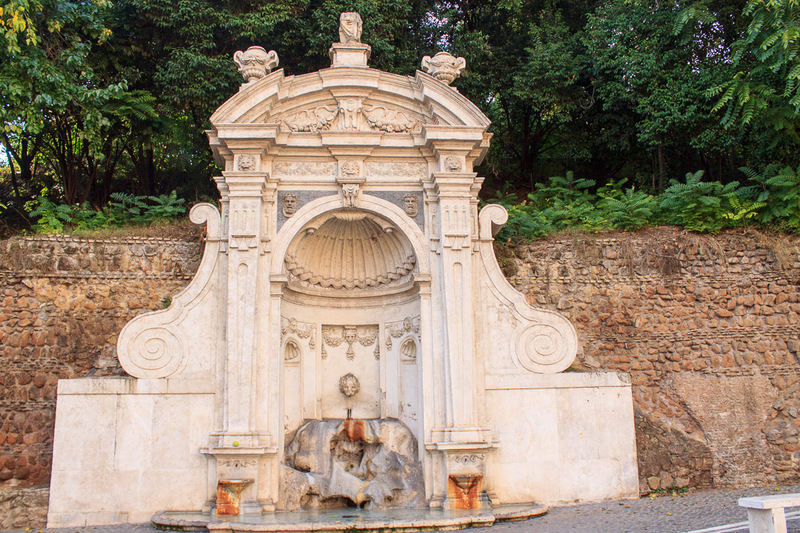 The Fountain of the Jail was completed in 1587 on the Esquiline Hill, dismantled in the late 1800s to make room for housing and the first Termini station, reconstructed as a backdrop for the new Via Genoa, dismantled again in 1923, and reassembled in the location it now occupies. 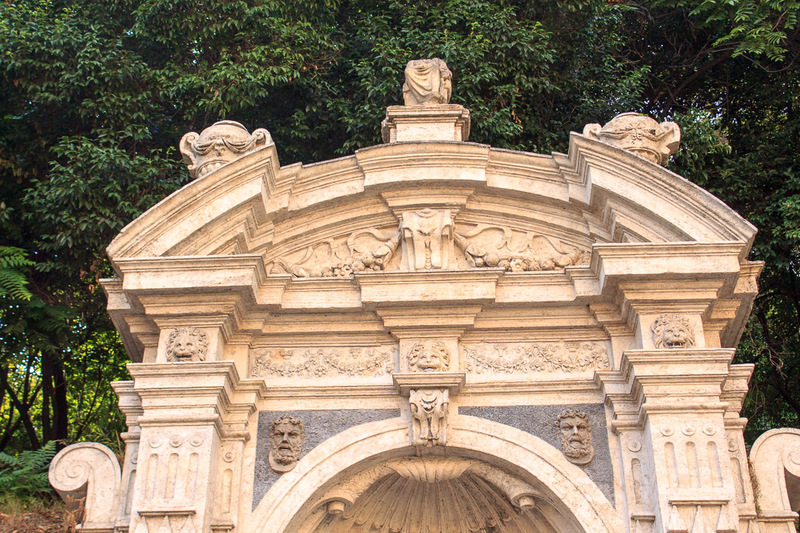 It is a great niche bordered by two pilasters supporting a pediment decorated with garlands and lion heads. 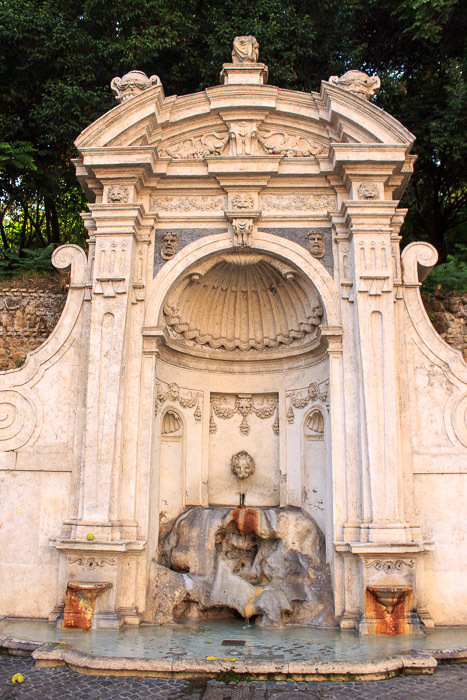 At the base of the two pilasters, two small basins collect water that flows from two taps, and a lion's head in the central fan throws water into a pool at street level. 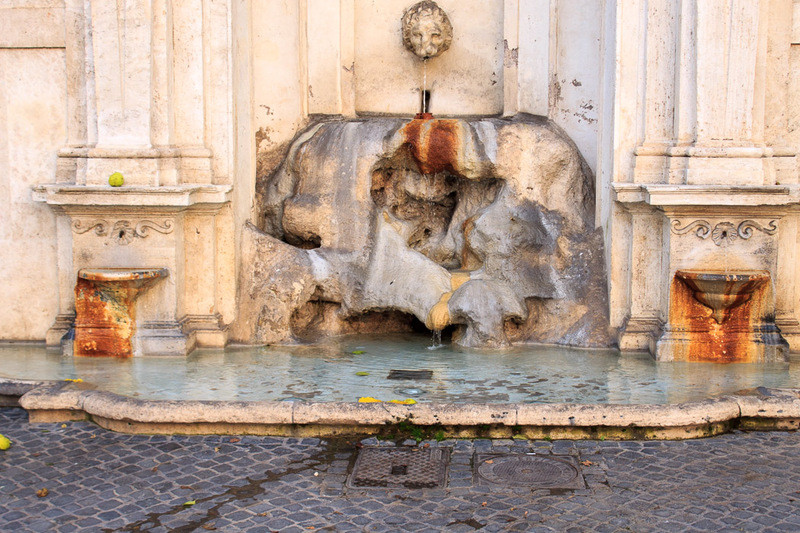 The name 'Fountain of the Jail' is derived from a marble figure of a prisoner with his hands tied, at the center, which has been lost in all the dismantlings, storages, and reconstructions of this fountain. The fountain was restored in 2005-2006. See all Fountain of the Jail photos.